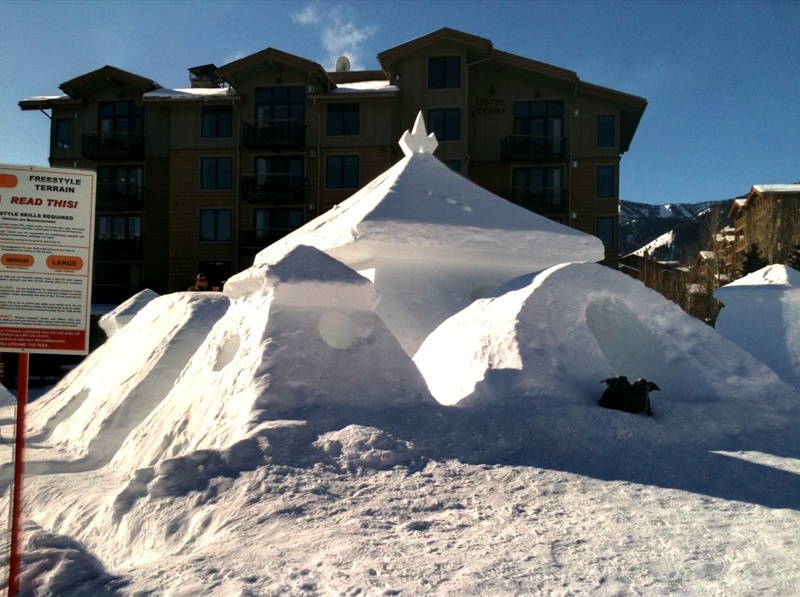 You have to hand it to the Jackson Hole Park and Pipe crew for building such a good snow castle while they were so drunk. And then making a video to go with it while they were just as drunk. I heard the peppermint schnapps was being passed around along with a healthy dose of, ahem, cigarettes. My boyfriend and I were supposed to have a dinner date that night but he called me half drunk and said he was having too much fun with a shovel and “the boys” to eat at all, so I called my other boyfriend and we went out together instead. Then he came home at six in the morning with a skinned face from trying to break-dance on a carpeted floor after the castle was done. My love life aside, yes you do have to give this creative team some props because what other grown men can amuse themselves while building snow forts for children? « Art on Pie Tins, What Could be Better (Besides Pie)?